Originally published in 1988, The Protean Text looks at the shifting evolution of medieval texts and how changing social and aesthetic values were depicted in the literature of the period. The book examines how this was reflected in the reworking and rewriting of texts - a common practice in medieval literature - as various groups adapted existing legends to their own socio-aesthetic needs. Such textual fluidity often resulted in a proliferation of versions. This tendency to experience the text in protean terms is intrinsic to medieval literary expression. 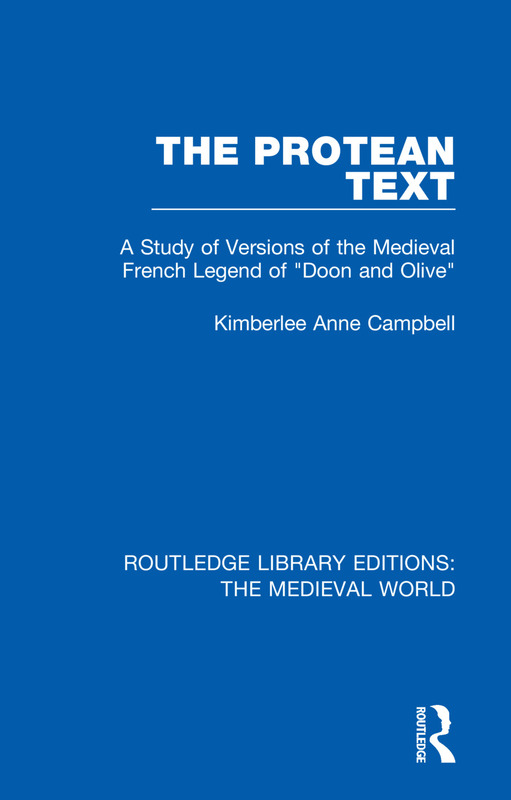 This book uses the legend of "Doon and Olive", to discuss the protean text, and uses the diverse series of extant versions available, to enhance our understanding of the possibilities of literary shift and modulation through this period.